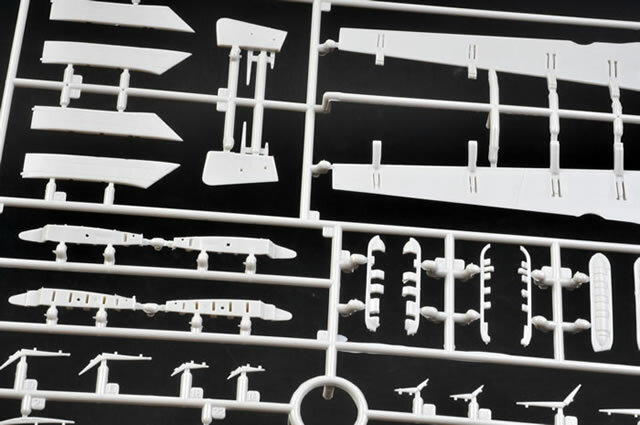 Contents and Media: Around 250 parts in grey plastic and 13 parts in clear; markings for five aircraft. 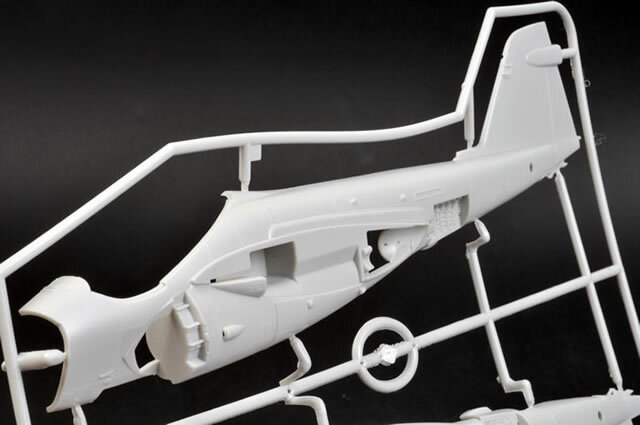 Advantages: High quality moulding; well detailed; finely recessed panel lines; optional position wings (extended or folded); new, separate slats, flaps and speed brake boards; canopy and boarding ladders may be posed open; clear parts moulded to accurately depict canopy bulges; straightforward parts breakdown; high quality decals designed by Fightertown and printed by Cartograf. 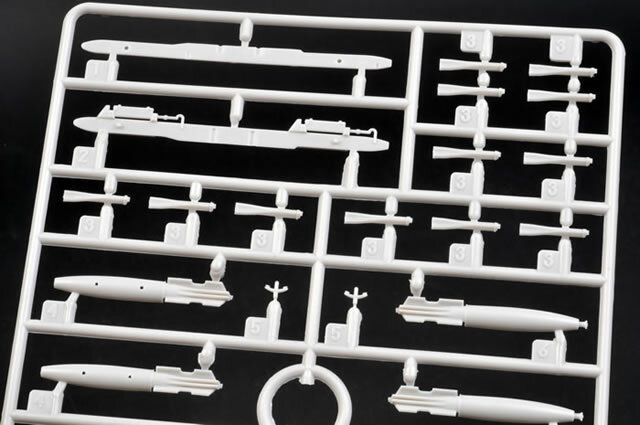 Kinetic’s 1/48 scale A-6A/E Intruder is packed into quite a large box and has approximately 250 parts. 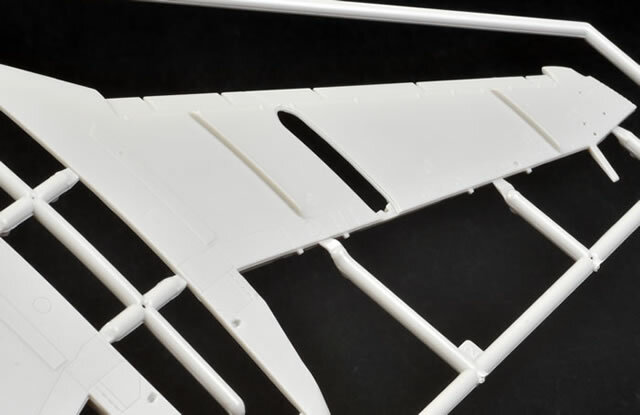 Kinetic released an A-6E in early 2012 with the later composite wing fitted. 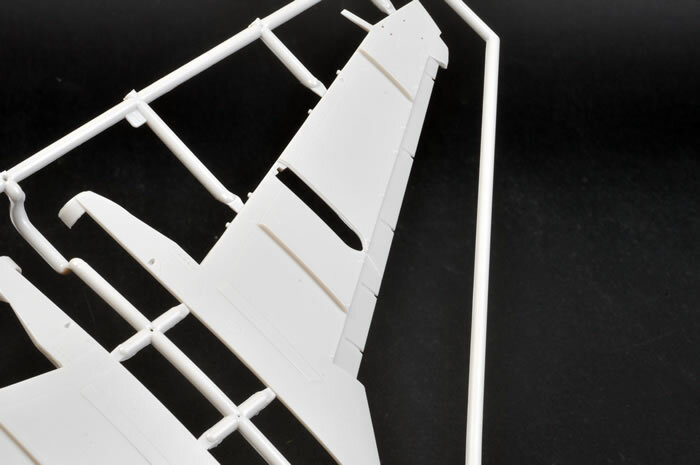 The wing was separated at the wing fold allowing the builder to display the wings folded easier but it was more difficult to model in the spread position. 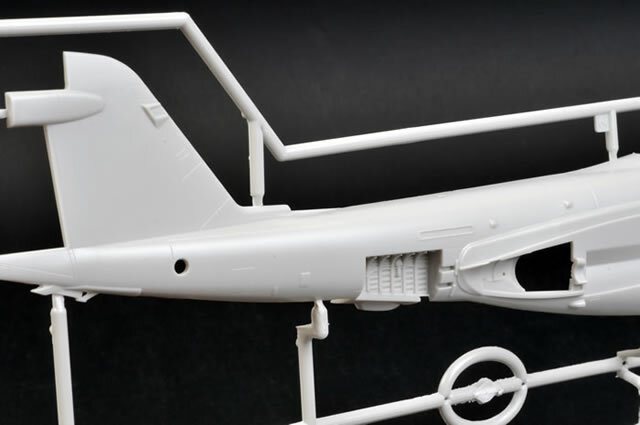 Also the flaps, leading edge slats and wing tip speed brakes were moulded to the wing in the streamlined position. 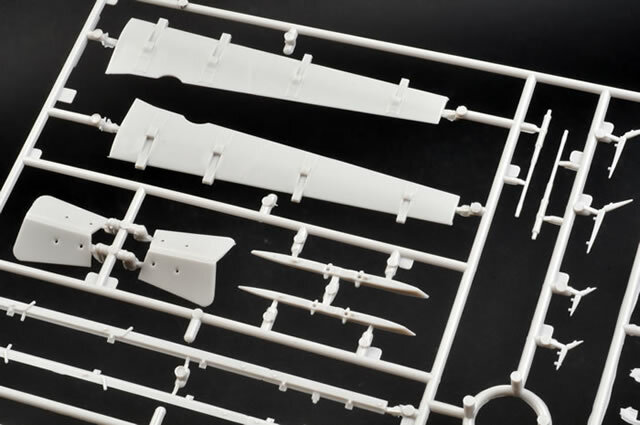 This new release has the earlier original style wing supplied in the spread position with cut lines and hinges to allow the wing to be modelled in the folded position if the modeller so chooses. Also the leading edge slats, flaps and speed brake boards are supplied separately and may be position in the extended position with ease. In my opinion this is a vast improvement over the earlier Prowler and Intruder releases by Kinetic. 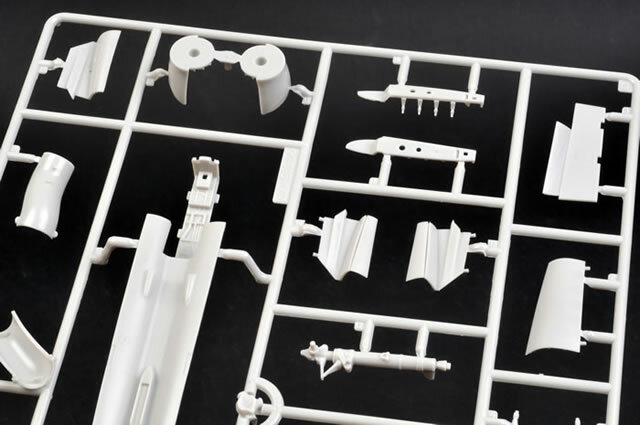 I will opt to use a set of Verlinden Intruder/Prowler seats when I build this kit. 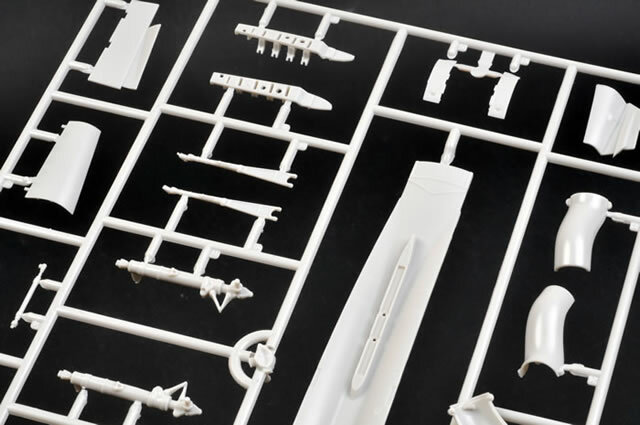 The kit fuselage is broken down into two halves with a centreline insert. 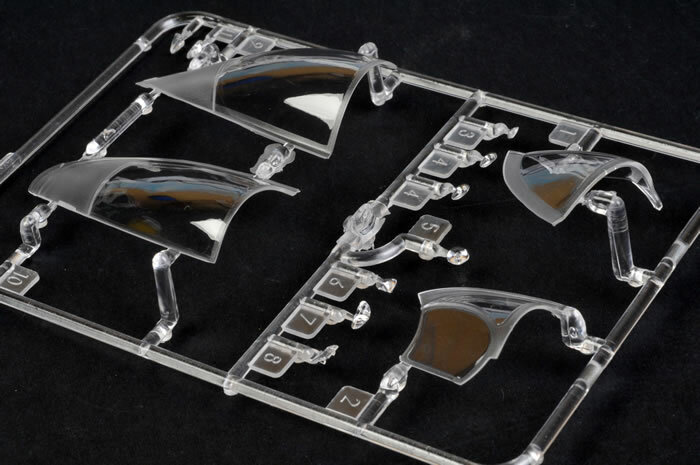 This breakdown allows the concave underside section to be captured beautifully and accurately, and allows all seam lines to be easily cleaned up. 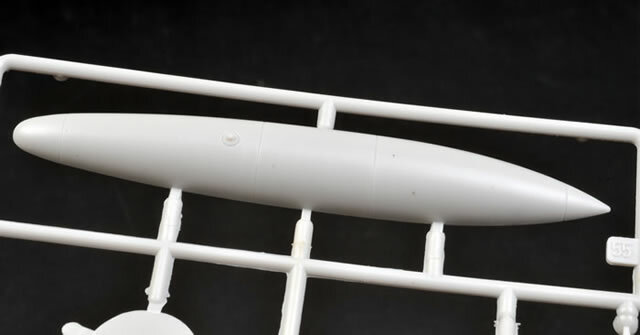 The intakes to the engine compressor face is not to scale length but they are sufficiently deep enough to suffice for most modellers. 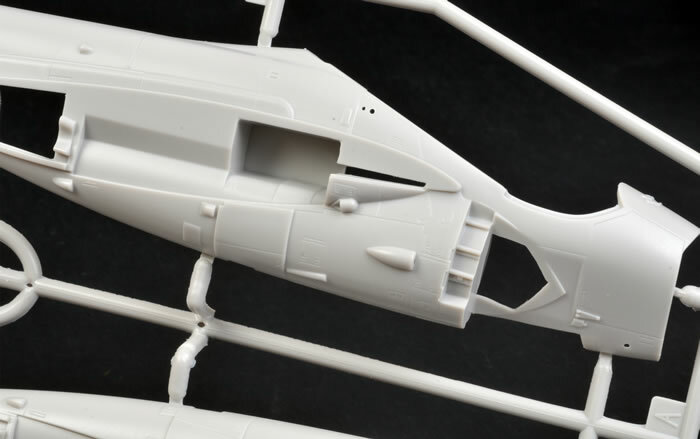 The compressor face should be just behind the crew steps, but moulding limitations have the compressor face just in front of the steps. Once completed it is difficult to tell that the compressor face is too far forward by approximately 5mm. The wheels are supplied as three part wheels with the hub separate. 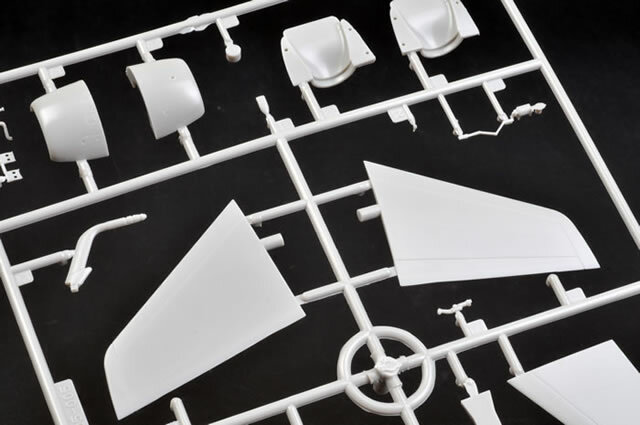 This allows you to paint the parts individually assemble and touch up the wheel seam with black or rubber colour and no masking is required, neat clean and simple. 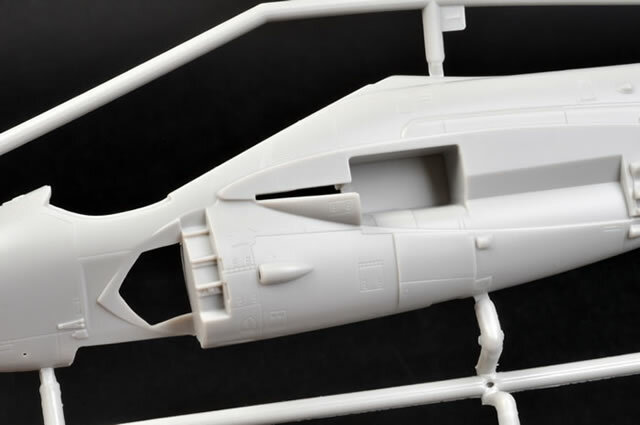 The wheel wells have a good level of detail and can be detailed further with fine wire to add hydraulic line details if the modeller wishes. 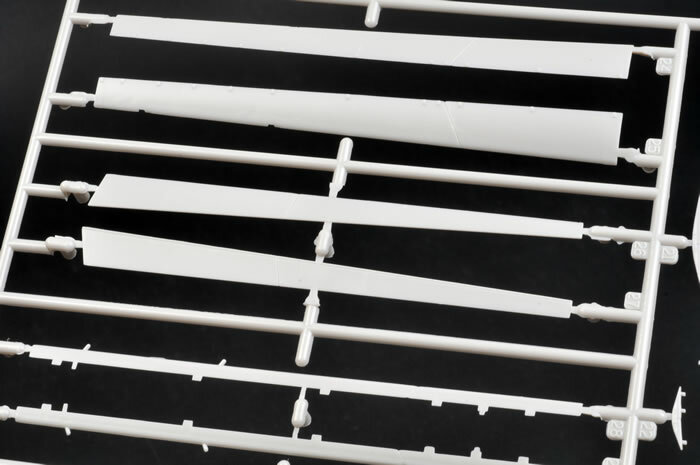 The windscreen and canopies are supplied as two halves and will need careful gluing to assemble but this captures the shape of the canopy perfectly. 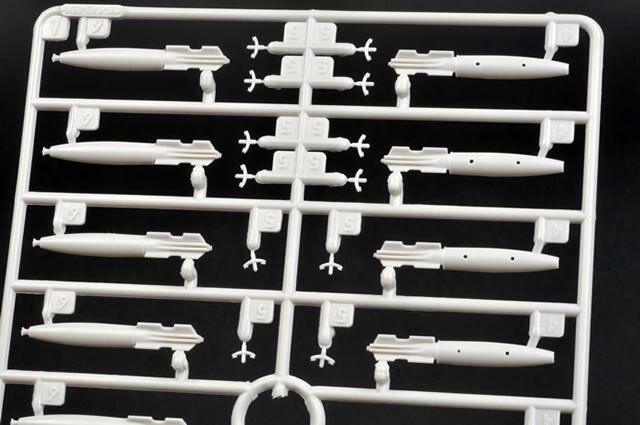 Included in the kit from the earlier Intruder and Prowler kits are the two wing drop tanks to allow you some further options for the weapons pylons. The two electronics jamming pods can be assigned to the spares box. 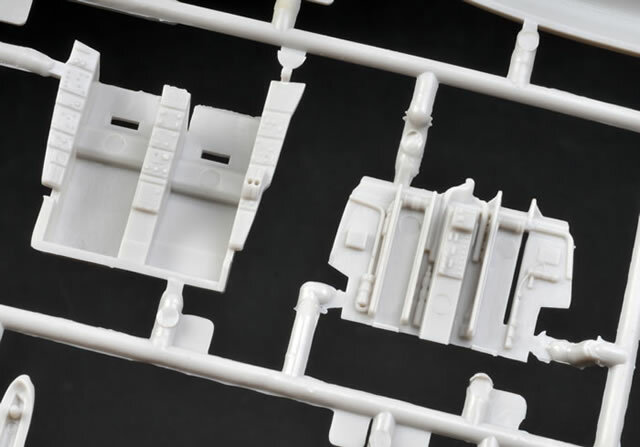 The two types of fuselage speed brake doors are supplied, the perforated and clean skin versions allowing any early version of the A-6A/E to be built. 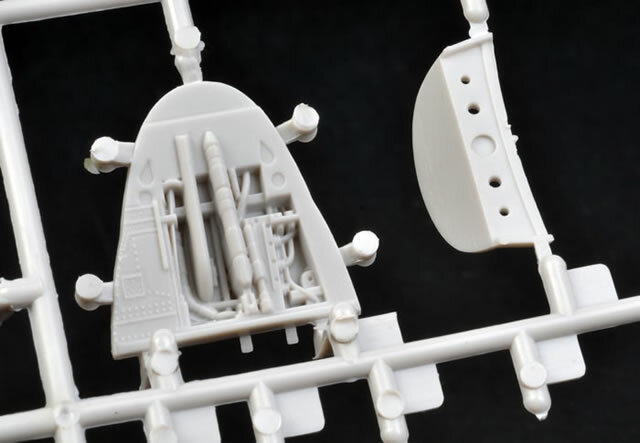 Finally the TRAM turret is also supplied to be fitted under the nose allowing the A-6E TRAM version to be built. 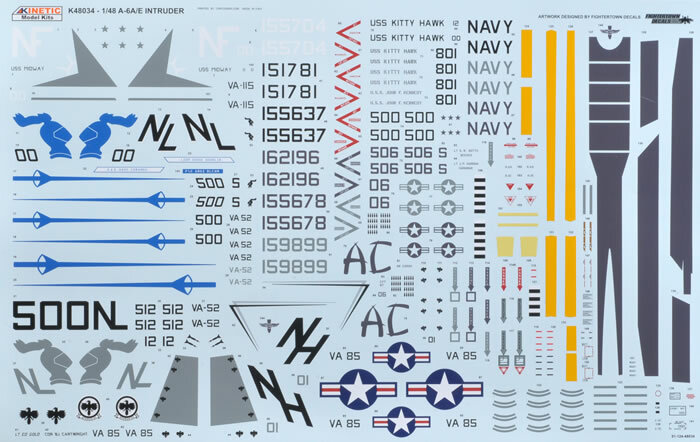 Decals are designed by Fightertown, printed by Cartograf and are excellent overall. They appear to be in register with good colour saturation and they are very thin. A-6E of VA-52 in the Light Gull Grey and Insignia White scheme based on USS Kitty Hawk. A-6E TRAM of VA-52 in the Dark Ghost Grey and Light Ghost Grey scheme based on USS Kitty Hawk. A-6E TRAM of VA-75 in the Dark Ghost Grey and Light Ghost Grey scheme based on USS John F Kennedy. 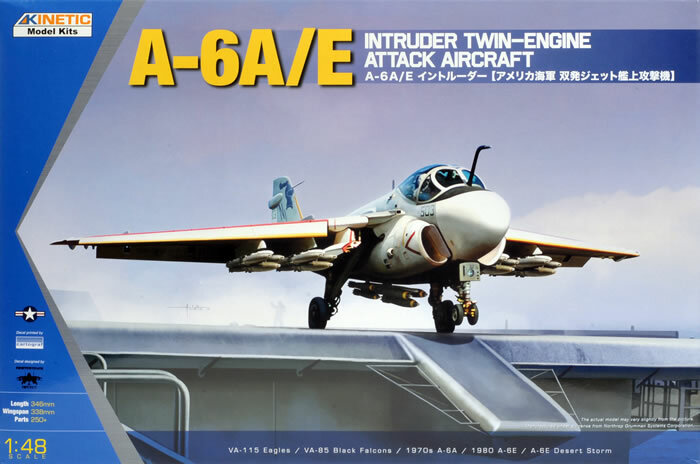 Kinetic's 1/48 scale A-6A/E Intruder is an impressive model of an important subject. 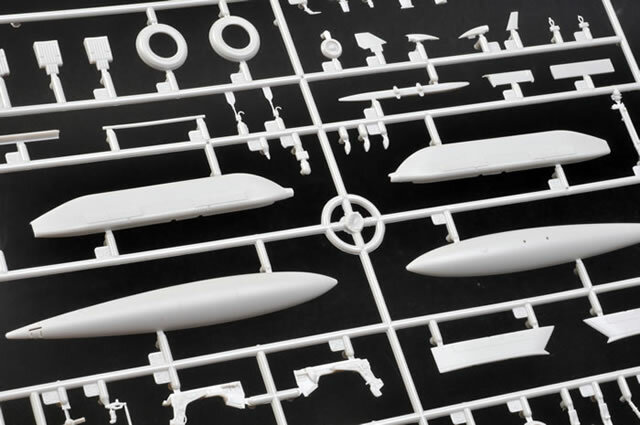 The parts count may seem high, but many of those parts are for the ordnance and construction looks to be very straightforward. Surface detail is really very good as well. 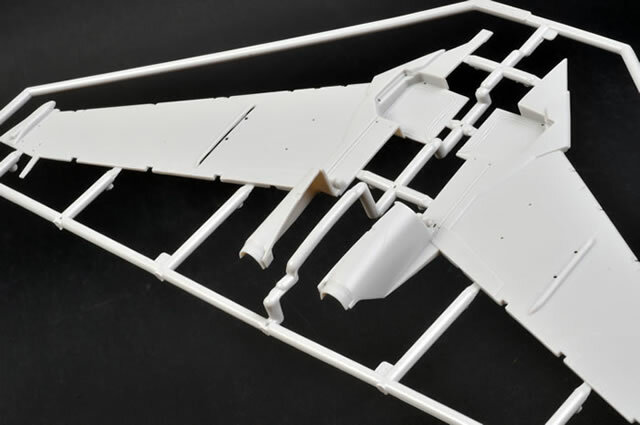 The re-engineering of the wings is a thoughtful touch, especially as the slats and flaps will add even more character to the fnished model. Lucky Model has actually reduced the the original Prowler's 2010 pricetag by $10.00 to USD$39.99 for this release too - great value in these challenging financial times!